 The 2017 PA Life Summit recently took place on 24-25 April at the De Vere Wokefield Estate – The Muscle Help Foundation was named as its official charity partner with the aim to raise vital funds and awareness of its work. The PA Life Summit has been inspiring PAs and EAs from around the country for 10 years, making this year’s event a celebratory one. Our Chief Muscle Warrior and CEO, Michael McGrath spoke briefly about the impact of the charity to an audience of some 180 guests at the glamorous Gala Dinner held in the magnificent Mansion House set within 250 acres of Royal Berkshire’s finest parkland. 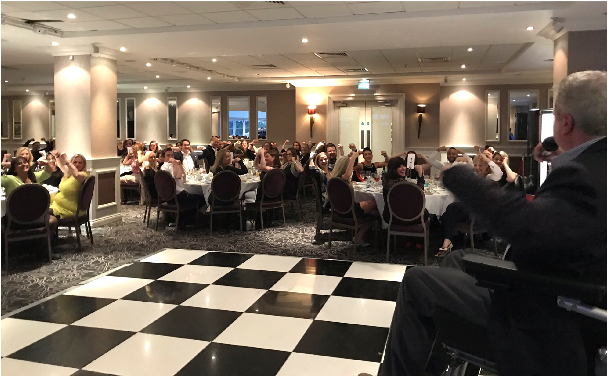 Guests were invited by Michael (pictured above) to give their best Muscle Warrior salute before the start of dinner, a visible symbol of hope, courage, strength and unity for all those with muscular dystrophy across the country. The PA Life Summit is a ‘must-attend’ annual event designed for Senior & Board-Level PAs and EAs who want to find solution providers and discover innovative opportunities to help respond to the daily challenges of their professional lives. On the following day, delegates also had the opportunity to not only hear about Michael’s life-story first hand during a pre-booked inspirational ‘seminar’ session but also to learn and take-away some top tips. In his .45minute interactive ‘Ice, Slice & Adrenalin’ presentation, Michael spoke about the role of PE’s ‘Professional Enablers’ and his 7-point plan around ‘PA Life Resilience’ in looking at the skills that can be developed and strengthened to help PAs and EAs thrive under challenging conditions, especially in times of change and uncertainty. Michael’s ‘Best Ever Boss’ interactive task struck a chord with many of the attendees in addition to the opportunity for those present to flex their PA networking abilities in engaging with MHF’s unique high-energy ‘Six-Degrees- of-Separation’ Muscle Dream speed thinking challenge designed to potentially open a door for the charity in reaching for example sporting personalities, famous chefs or movie stars. “His ability to engage emotionally and intellectually with audiences from business and education will inspire, motivate and transform the way people think and act. Recent clients include Roche Pharmaceuticals, HMRC and the UK’s leading professional body for executive and personal assistants, the EPAA (Executive Personal Assistants Association, where he delivered the keynote address at their first ever conference dedicated to EAs, PAs and secretaries across the UK banking and financial sector hosted by the Royal Bank of Scotland”. PA Life is the leading media outlet dedicated to PAs and EAs – discussing professional development, expert advice and how to improve core business skills as well as showcasing high profile interviews with established PAs sharing their tips for success.